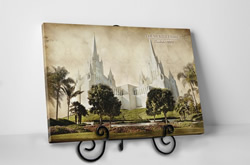 These beautiful vintage-style LDS temples will bring the spirit into any room. Smaller and more affordable than our framed pieces, this product makes for a wonderful wedding gift, and is great for bookshelves, a fireplace mantle, coffee table, or dresser. 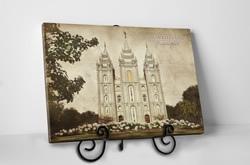 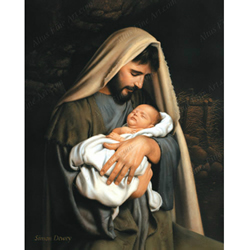 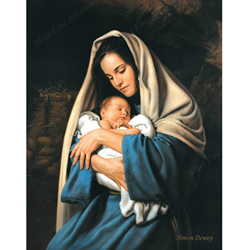 These 10" x 13" art pieces are printed on gallery-quality canvas, professionally wrapped around a hardwood frame, and placed on a decorative steel easel. 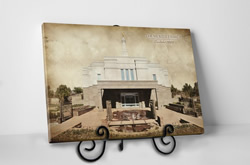 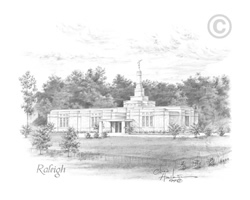 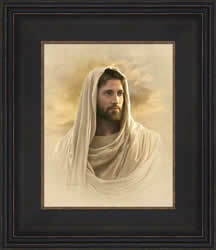 Customize your temple art piece to give it a personal touch.